1. Please turn off the battery case while not using it. 2. This charger case is not waterproof. please use only in dry environments. 3. 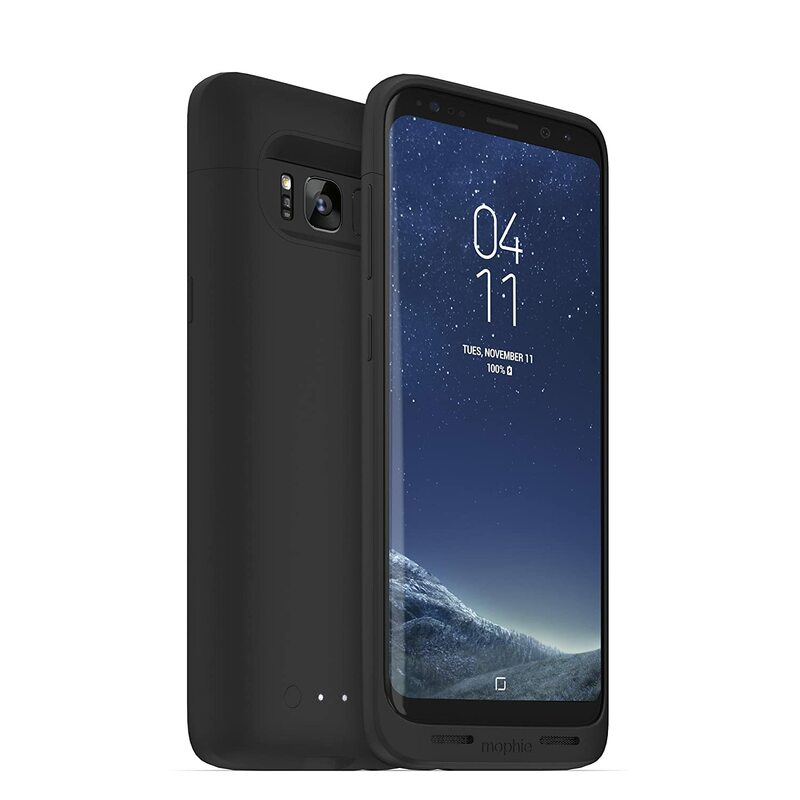 This battery case is just fit for iPhone 7 plus/8 plus, not fit for others. 4. Not compatible with iPhone lightning headphone or traditional 3.5mm headphones. ONLY works with Apple airpods or other wireless Bluetooth headphone. 5. 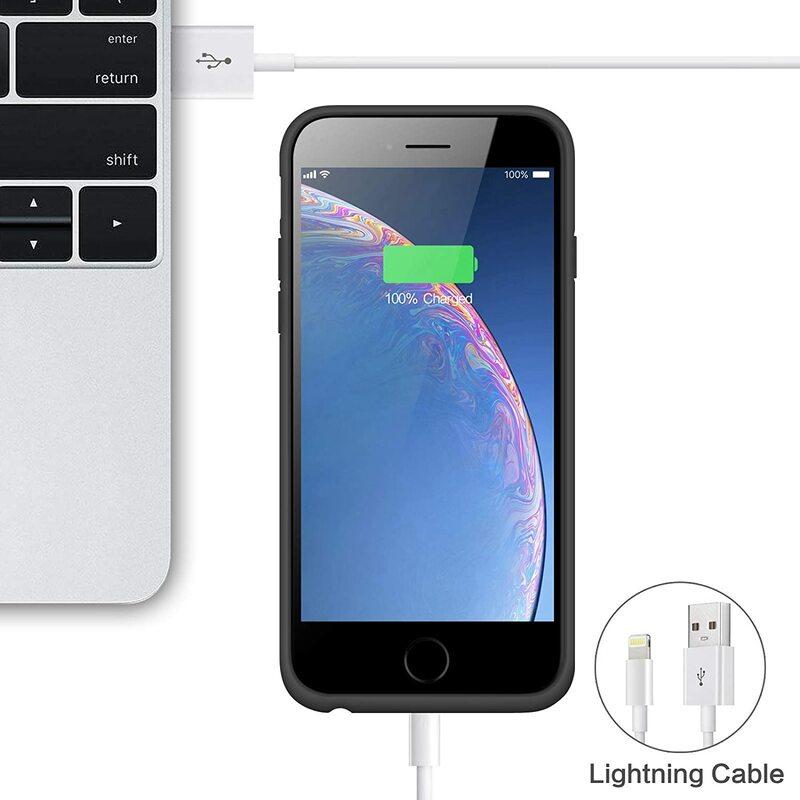 When you connect lightning cable to the battery case with phone installed, your phone will be charged first, after phone full charged, it will charge battery case. 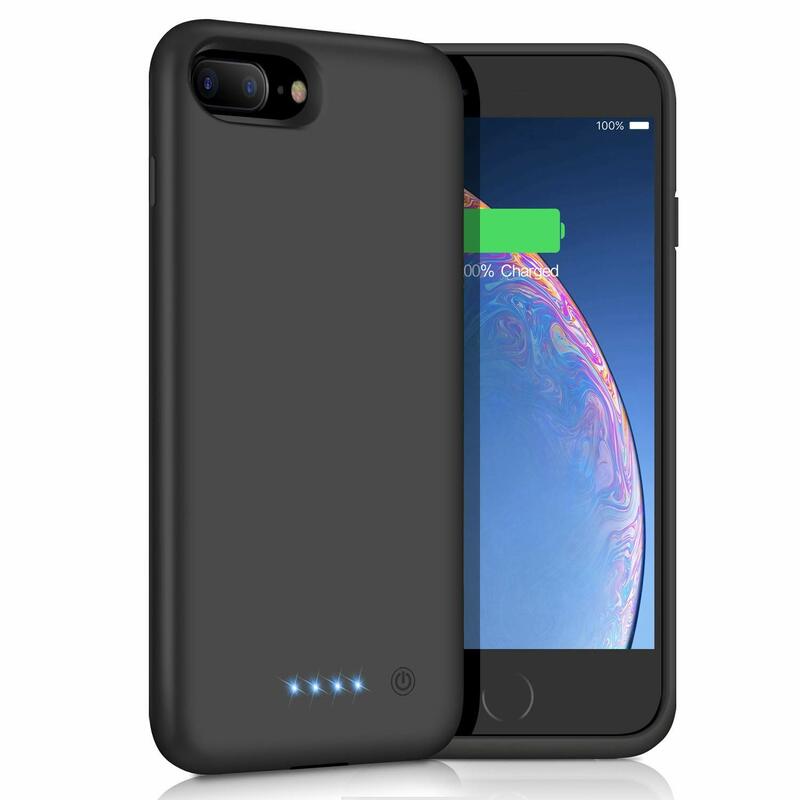 1.Just fully put your iPhone 7Plus/8 Plus into the wireless battery case. 2. 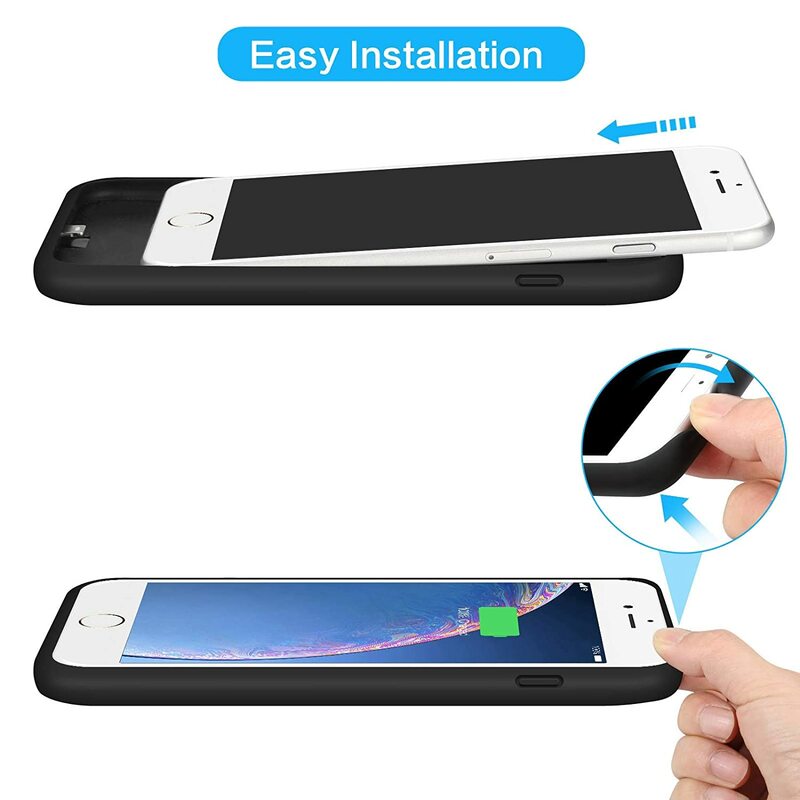 Press the power button of the battery case, It will start charge your iPhone. 3. Pressing and holding the power button on the back of the battery case in 3 seconds again, the case will stop charging. - Sync: 0% compatible with all iOS versions, Apple Pay, and future iOS software updates(Apple CarPlay is not supported). 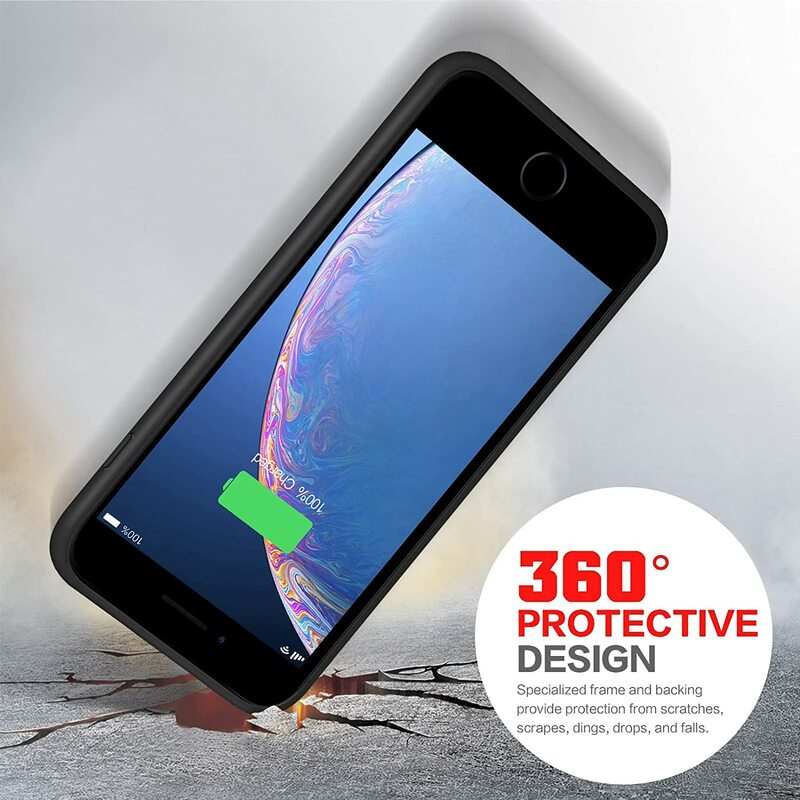 - Shock-proof: 360°protection to corners and sides, protecting your iPhone from drops and impacts. I was using a power bank during my recent trip in Europe and found it too troublesome with the wiring and extra item in my pocket. So, I ordered this. Right off the bat, I noticed the charge case fits snugly, and then I found the microphone, speaker and buttons all functional with the case on (as they should). 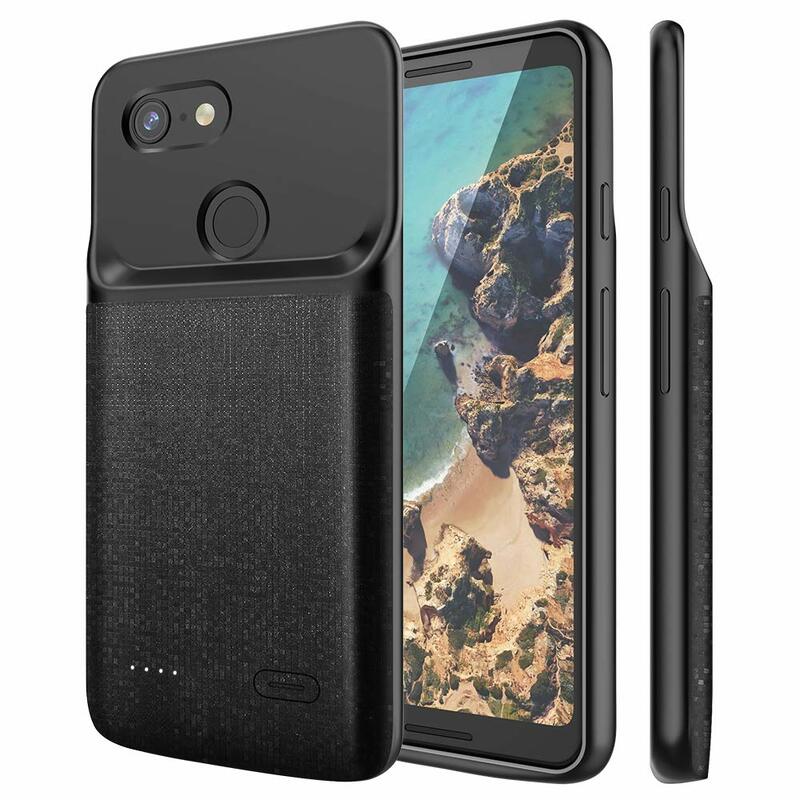 The case is about the weight of an iPhone 8 Plus. 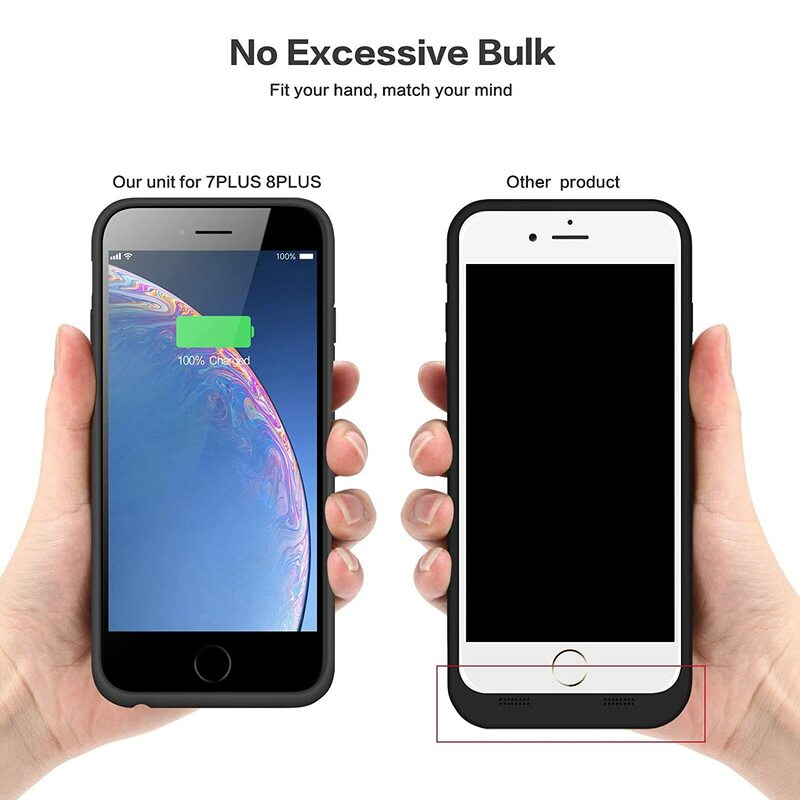 I wish it was lighter, but maybe that’s the trade off for a 8500mAh charger case. It charges my phone fairly quickly (takes 2.5 hours to charge an iPhone 8+ from 10% to 100%) and it holds enough power to fully recharge my phone twice. I’m sure I will appreciate this case even more during my next trip in Dec/Jan. 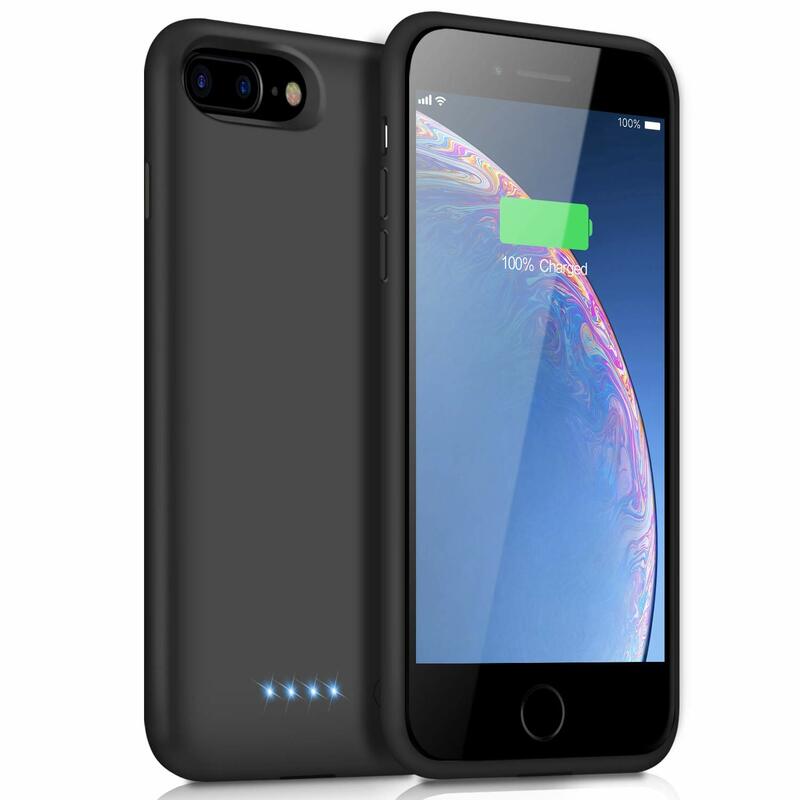 I got this iPhone 8 Plus charging case due to my battery would drain quickly. when my phone's battery was drained again, I turned on the case and got another full charge out of it. it keeps fast charge and allows my phone to be charged up all day. It charges my phone over 2 times. 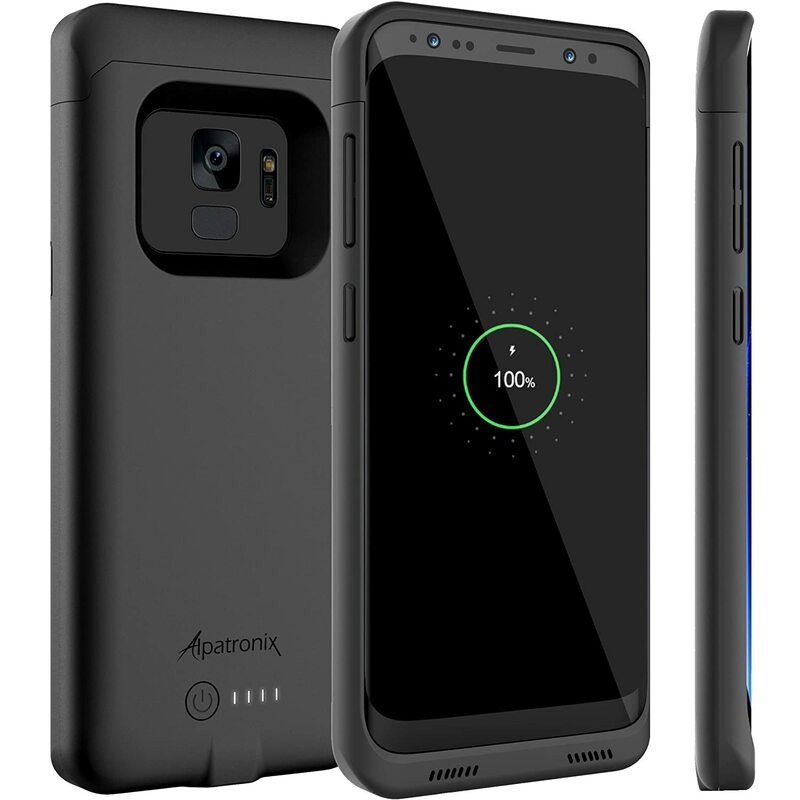 8500mAh high capacity last longer than other 7000mAh. very useful and durable. Comparing to my ultra slim case and it’s only a tad thicker. Unlike many other brand I’ve used, this one actually looks and feels good. Battery charging is quick. Our young son likes to watch videos. 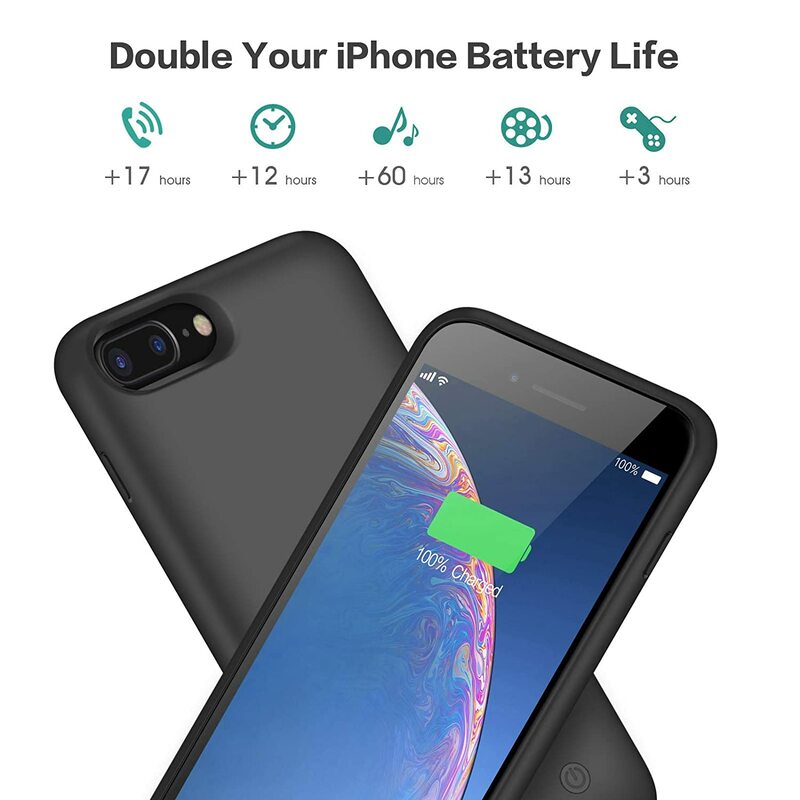 This case adds a great extra time to our iphone 8+. In addition, you don’t need to buy a case. I'm a Amazon Flex driver which requires me to run the app GPS constantly when I deliver packages. Before I got this, my battery would drain halfway through my route. I would have to constantly plug & unplug my charger. This battery pack keeps it charged all day and into the night without any wires attached. Awesome device! 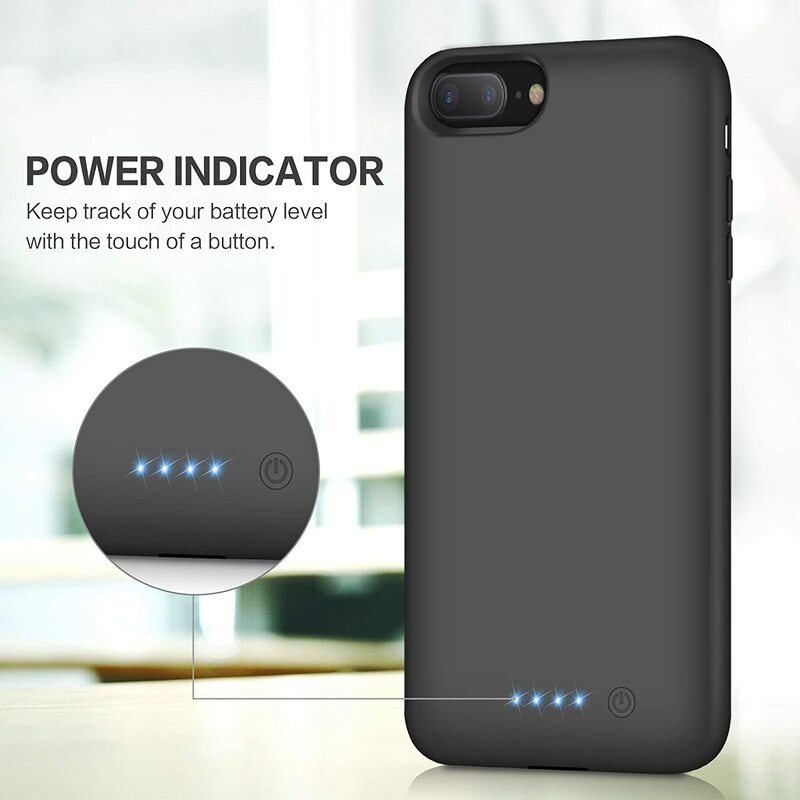 I bought this battery case for my husband and he loves it. He uses his phone for work and doesn't always have a place to charge his phone. 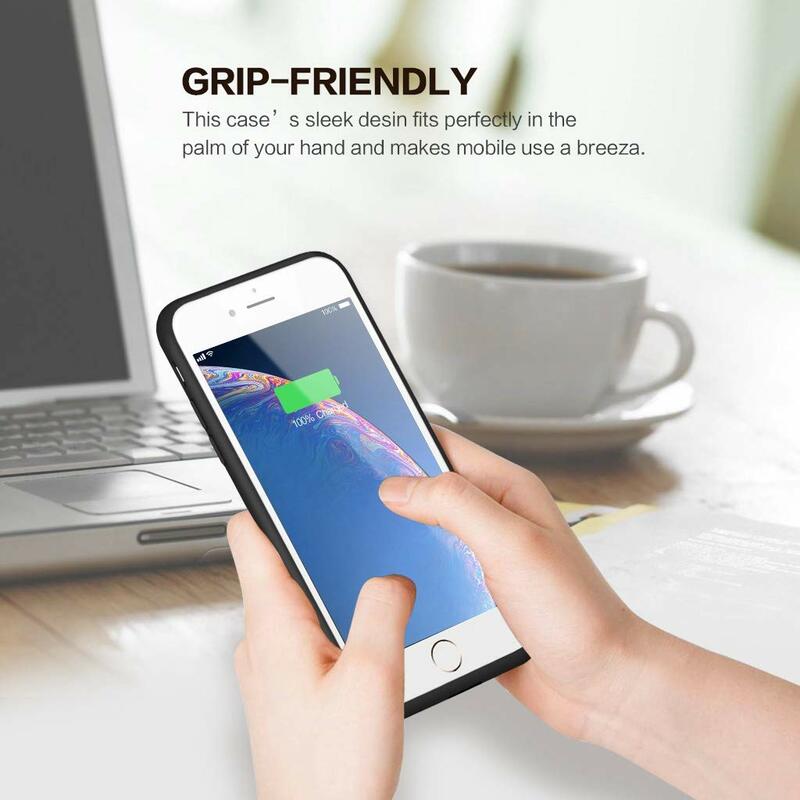 It is very convenient to just hit the power button and it starts charging. It is bulkier than I expected but definitely holds the charge. 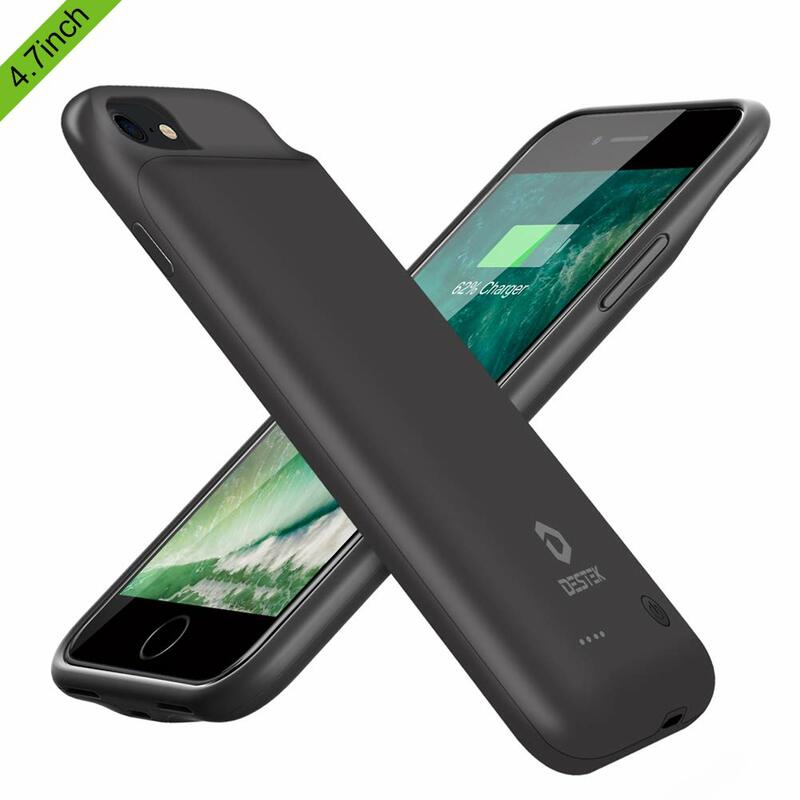 Not having to charge as much on the go is awesome with this case. I highly recommend it. This is my first time getting a phone case with a charger, Must say that I'm loving it. It keeps the phone running for so many hours.